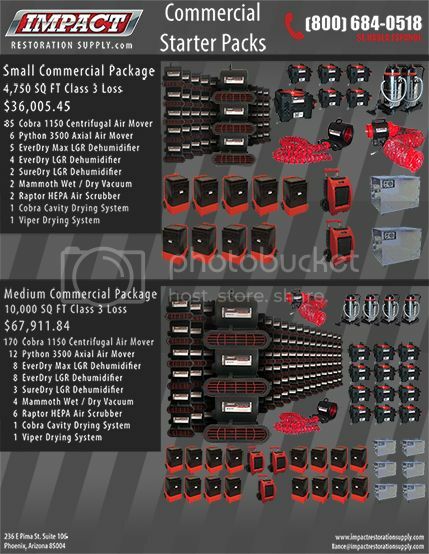 Impact Restoration Supply has pre-built starter packs for new restoration professionals. 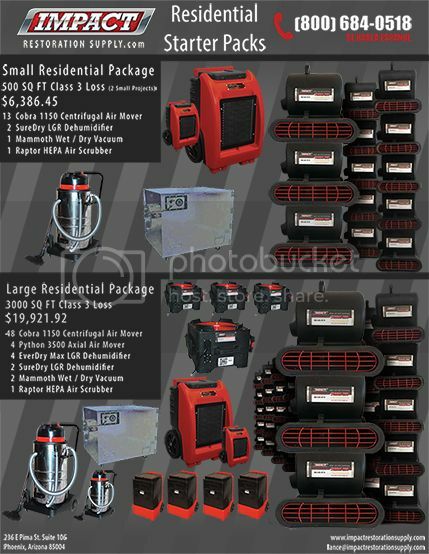 Each package has been built according to what size area you are working on. Contact us at (800) 684-0518 to start or improve your restoration company and for the best advice and expertise. Click on the Account Log In tab on the left hand column of our website to register, create your own account and get started. If you're still looking for more information, click on the 'Request more information' tab on the upper right hand side of the page. Our knowledgeable sales team is here to help.